Every home has a different architectural design that makes them unique and choosing windows that match this design is the first step in beautifying your own place. There’s a lot of ways in decorating your windows and one of them is installing window frames. Window frames are available in a variety of materials involving aluminum, wood and vinyl. This material can affect the motif of your house. 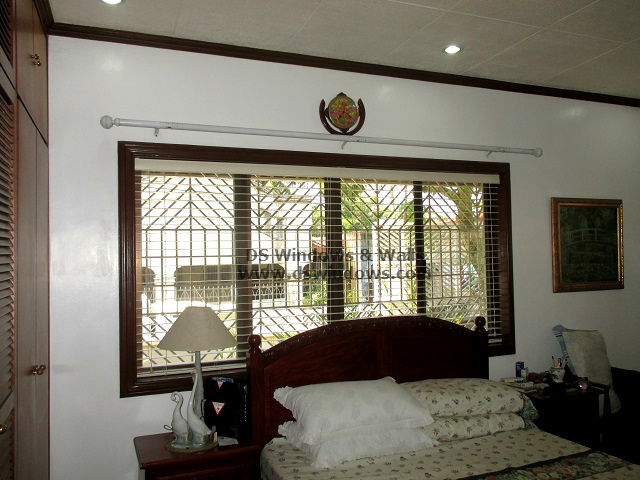 Wood window frame is much more suited in traditional house just like our client in Nuvali, Laguna who chooses the wood window frame for her bedroom. 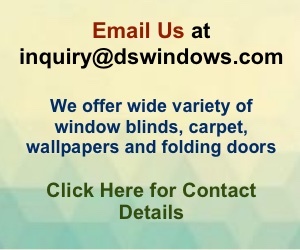 The color and style of your window frames also hold a great significance in the interior look of your house. When you use a trim color for your wall like white you may blend it with darker colors like dark brown for your window frame to make two tone accent colors that looks good together. For a finishing touch choose a window treatment that greatly suits with your window frame and motif. 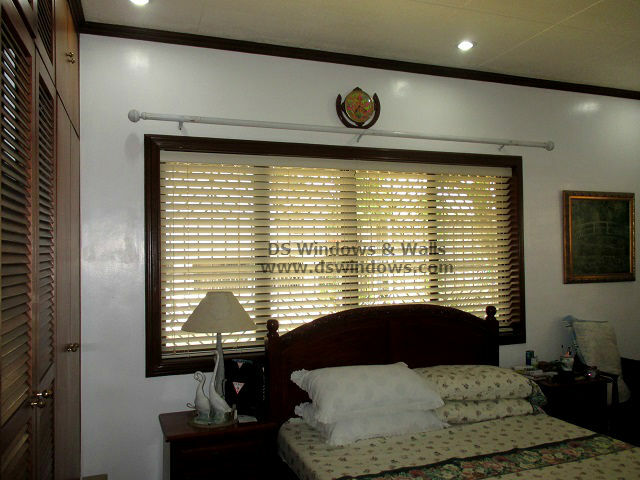 Wooden Blinds is best suitable window cover for traditional theme and it also compliment and match wood frames. Our client who has a beautiful dark wood frame in her room, she opted for light beige wood blinds mounted inside the frame to show the beautiful blend of wood frame with real wood blinds. The combination of dark frame, white wall and light beige really works well with each other to appear beautiful and splendid. Some people might discard the idea of installing blinds for their window that has beautiful window frame because they think it might block the window treatment. 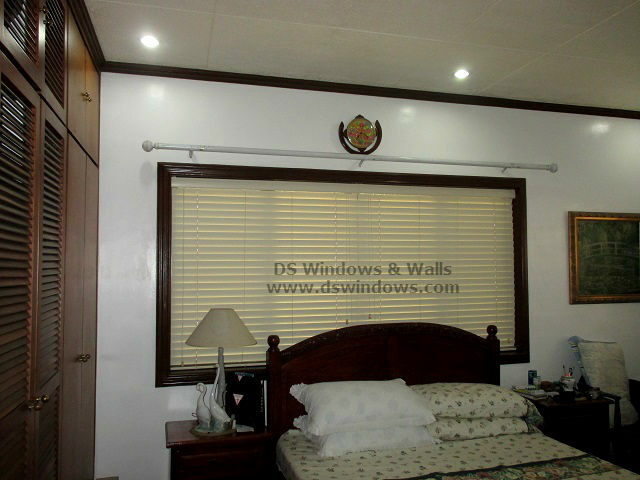 That’s why choosing DS Windows & Walls Interior Supply is an advantage when it comes to tricky problem like this because we customize our blinds base on the size of your window and we do ocular visit to your home for more accurate measurement. For Batangas, Cavite and Laguna – Call our satellite office at Globe 0917-583-0214 or Sun 0922-592-6111 or 0908-989-4676 – look for Patrick Villapando.